Just about every news outlet ran these photos in association with the story. The problem? 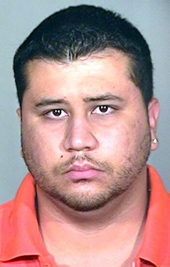 The photo of George Zimmerman is from 2005, and the photo of Trayvon Martin is several years old as well. More importantly, it’s easy to imagine these particular photos were chosen to support a particular narrative — not necessarily one of any specific political slant, but simply one that was more emotionally powerful. The one that would generate the most interest. 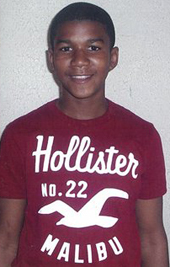 Zimmerman, dressed in an orange polo shirt, is made to look like a criminal in a prison jump suit; Martin, smiling and pictured only in his early teens, is made to look young and nonthreatening. The photos help fuel the controversy surrounding the case, ensuring both that the story survives and that it’s easy to package and ‘sell’ to consumers of the news. 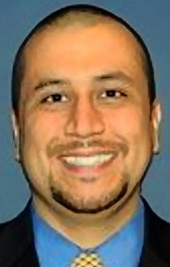 Here Zimmerman is smiling, wearing a suit and tie. 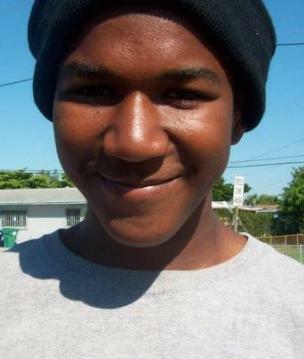 Trayvon is older, and though he doesn’t appear threatening, he’s no longer as childlike. These photos are no more neutral than the originals — they simply represent a shifting narrative in the media (presumably because they were called out on the biased nature of the originals). The point is this: News producers, by selecting which photographs to use consistently, shape narratives that are often external to and separate from the objective facts of the story. This is one of the dangers of producing news that aims to be emotional and a driver of ratings, rather than strictly informational. Producers pick and choose what they deem the best ‘story elements,’ and sometimes the overall narrative gets skewed by their choices. This is all bad enough given that journalism is supposed to strive for objectivity, but the real problem here is the opportunity that was missed to talk about the larger issues involved — issues that don’t have much to do with the story’s emotional potential but are nonetheless crucial: Issues like gun control and self defense laws. Because there seems to be a central inconsistency in Florida’s so-called Stand Your Ground law, a different kind of narrative problem. The law — which essentially protects any individual who uses deadly force in the name of self defense — privileges the story of whoever was last to take action. It’s a small-scale example of that old saying: History is written by the victors. Only one story survives, literally. But what if the narrative could be told from Trayvon Martin’s perspective? Let’s assume that Zimmerman’s claim, that Martin attacked him, is true and accurate. Would it be reasonable to view such an attack as an act of self defense? After all, from Martin’s perspective, he was being followed through his own neighborhood by a man with a gun. Is it reasonable to think he may have felt threatened? Is it reasonable to think he may have felt the need to defend himself with force? If the one who winds up dead is the one who first felt threatened, can his killer use self defense as an adequate justification? In Florida, because of how the Stand Your Ground law works, the courts aren’t concerned with these questions. Martin isn’t around for the law to protect his actions, even if they were motivated by a fear for his own safety, and Zimmerman’s story is the only one that counts. But these are the kind of questions the media should be concerned with. This is the narrative — a narrative about opposing narratives — that the media should be concerned with telling. I would say this sort of incident is the cost of bad tactics.